SEPANG, 25 June 2018 – AirAsia welcomed a delegation of business leaders at its headquarters in Kuala Lumpur today, ahead of direct services between the Malaysian capital and Melbourne’s eagerly awaited second international airport, Melbourne Avalon Airport. The delegation, led by City of Greater Geelong Mayor Bruce Harwood, follows AirAsia’s announcement it would move its Melbourne Tullamarine operation to Melbourne’s Avalon Airport later this year. The aim of the delegation was to capitalise on opportunities to increase collaboration with the Geelong region, AirAsia and ASEAN in the areas of trade, tourism and economic development. 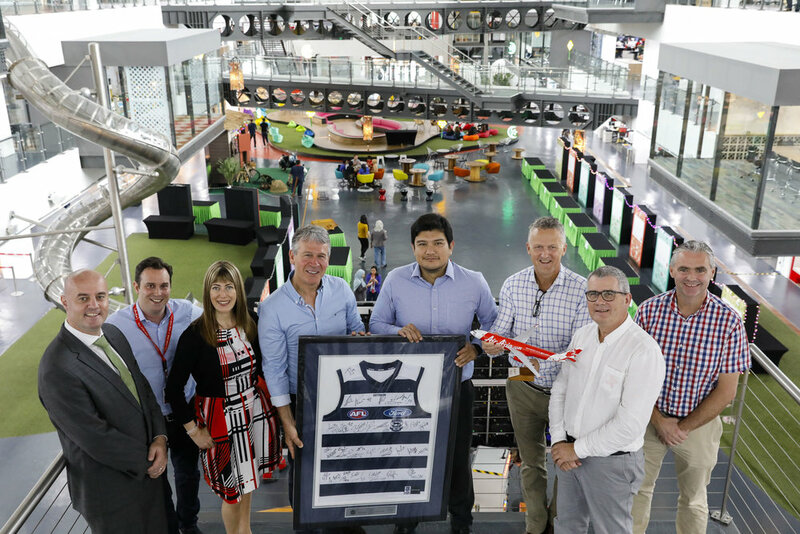 AirAsia X Malaysia CEO Benyamin Ismail said, “Welcoming the City of Greater Geelong Mayor Bruce Harwood and his delegation to our headquarters, RedQ, showed a real commitment to the airline and we’re very pleased to have them join us here today. “ASEAN is home to some of the world’s fastest growing economies and as a truly ASEAN carrier AirAsia and AirAsia X sits at the forefront of that growth. City of Greater Geelong Mayor Bruce Harwood said, “The region is now just months away from having more than 500,000 visitors just moments from their doorsteps and the Great Ocean Road. “This is a game-changer for the Greater Geelong and our fast-growing northern and western suburbs. The delegation exchanged a number of gifts including a framed Geelong Cats AFL jersey and a limited edition Airbus A330-300 model aircraft which will be displayed at the Council Chambers. As the first international carrier to fly to Avalon Airport, the twice-daily service operated by AirAsia’s long-haul affiliate, AirAsia X, will provide connections via its hub in Kuala Lumpur, Malaysia to more than 130 destinations across Southeast Asia, the Middle East and the US, including Bali (Indonesia), Thailand, Japan, India, China, South Korea, Hawaii (United States) and many more.